Is your marketing strategy ready to seize as much of the holiday revenue pie as possible — while also driving future conversion and retention? Download our Holiday Marketing Playbook to find mission critical tactics and strategies to drive success during primary shopping days and holiday buying trends to expect this season — including increased mobile conversion! It’s that time of the year again. Back-to-school buying season is now a distant memory, and the biggest and busiest time of the year is on its way: holiday shopping. NRF reported an overall 4.6 percent year-over-year increase in retail holiday sales in 2014. And now retailers are putting the finishing touches on their holiday plans in anticipation of another successful selling season in 2015, which is already shaping up to be more fruitful than the last with holiday sales projected to be as high as $965 billion between November and January. Now more than ever shoppers are relying on smartphones for researching and tracking holiday purchases. One study of almost 4,000 smartphone users found that 36 percent of U.S. smartphone users use devices while in stores in order to compare prices. It’s not news that the explosion of mobile has left brick-and-mortar retailers struggling to stay ahead of the curve. So in order to capitalize on the approaching holiday rush, what are savvy retailers to do? Mobile payments to national brands and local merchants are projected to grow from $52 billion in 2014 up a whopping $143 billion by 2019, according to Forrester. The eruption of mobile payments is already here, and retailers unable to adapt will fall short. For this holiday season, mobile payment options are huge as time-crunched consumers crave convenience. With the launch of Apple Pay and more recently, Samsung Pay, mobile shoppers are seeking out retailers that offer these new payment methods. In fact, more than half (53 percent) of U.S. consumers think it is important for retailers to enable smartphone payments, a survey by Wakefield Research revealed. The same survey noted that consumers prefer using mobile over traditional payment methods for speed of use and the freedom from carrying a wallet, along with the ability to access mobile deals and the relative safety of personal data. The message here: retailers need to facilitate mobile payment, or risk alienating eager mobile shoppers this season. Consider implementing mobile-specific promotions that can link a customer’s mobile obsession with holiday shopping. One example: create an in-store device trade-in promotion that drives earlier smartphone upgrades. The idea of trading in devices for cash value has grown to become a high-value offering for consumers on the lookout for the latest tech at the lowest cost. Offering such a program close the holidays gives retailers the ability to drive customers in-store, while building positive brand association as the customer gets extra cash that can be used to fund holiday purchases. Furthermore, retailers can leverage their online presence to reach mobile customers by offering a mobile discount or deal that can then only be used in a store. In fact, nearly 80 percent of shoppers say they engage with a retailer or brand through digital channels before setting foot inside the store, according to research from Deloitte This type of holiday-specific deal will motivate mobile customers to go in-store, driving more foot traffic, with a mobile component that fully caters to their digital lifestyle. In today’s world mobile sites must be optimized with appropriate and worthwhile content aimed to help visitors on the go. The more useful a website’s content, the more likely a consumer will spend time on-site. Shoppers will be on smartphones while in-store price shopping, sourcing friends and researching competitors. The same comScore study referenced above found that 27 percent of consumers read customer reviews while in store aisles, 23 percent rely on call, email or text for feedback on purchase and 22 percent read product details on a device while in a store. For brick-and-mortar retailers, this means websites need to be mobile-friendly. With mobile optimization should also come the ability to convert, meaning purchasing through mobile should be an easy, seamless process. By creating mobile-friendly websites, retailers can deliver on a holiday shopper’s wish list for easy to find information, leading to improved customer satisfaction. Ready or not, holiday shopping season is here and the time to prep for success is now. 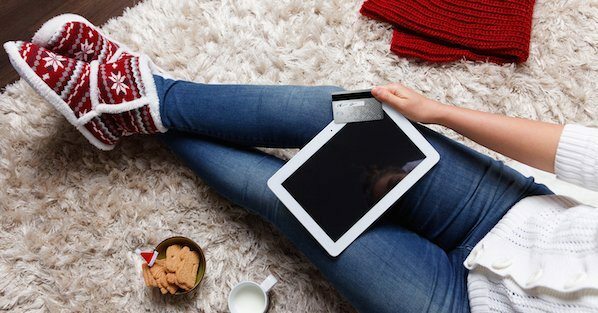 By adjusting the approach for targeting today’s mobile consumer with simple tactics like proper website optimization and allowing for mobile payments, retailers can leverage the merry and bright season for boosting sales, while improving customer loyalty. This post originally appeared on TWICE.com. This article was written by Jeff Trachsel from Business2Community and was legally licensed through the NewsCred publisher network.